Overnight Prints - 100 Business Cards for $4.86! Wow! I was waiting for a great deal on business cards, and here it is! Overnight Prints is offering 100 FREE Business Cards or $10 off any order! That's for all of you that LOVE handing out my cards while you're shopping! I am so thankful for you, and now I can get you some more cards! Then use promo code UDECIDE at checkout to take your total to $0. Shipping was only $4.86 for my 100 business cards! For me, this is one of the best deals out there, because VistaPrint charges extra for a design upload, which is how I print my business cards. If you want to use a template to design your own, it's comparable in price to the 250 Free Business cards VistaPrint offers after you pay for shipping. What do you like to use business cards for? When we moved last year, we made up a set of business cards with a deal like this. We put all of our new contact info on them and slipped them into our Christmas cards. I've seen others use them as "mommy" calling cards, and of course you can use them as business cards as well! I just had to laugh at loud when I saw this! Do you all remember Mr Food? He used to be on one of our local news channels during the 5:00 or 6:00 news. I used to love watching that segment! I haven't seen him on in awhile, but you can download a "Let's Get Grilling" e-cookbook now! It's free, and you can choose to receive more recipes by email as well. Personally, I think the "Grilled Banana Split" looks tasty! FREE Coldstone Creamery TONIGHT from 5-8! Tonight Coldstone Creamery is hosting the World's Largest Ice Cream Social from 5-8 PM - that is NOW! Get a FREE Kate's Creation tonight with a donation to Make-A-Wish Foundation! I think this is such a fun fundraiser! For more details, head on over here. Both Fargo locations are participating, to find other locations, check here. More Coffee Deals for National Coffee Day! Update: BOTH deals are now expired. Calling all coffee lovers! I have a few more National Coffee Day deals for you! Through 9/30 (tomorrow), you can purchase 3 boxes of Gevalia coffee and get a free stainless coffee scoop all shipped for only $3! I did this deal awhile ago when it was available and the coffee was so yummy! I had the Cinnamon, Hazelnut and I think the French Vanilla. I do love my flavored coffee! Just head over here to choose your 3 coffee varieties or flavors and pay only $3! If you're not a coffee lover, for this price, you might want to consider this as a gift (the holidays are coming quickly!) for someone who does. Have it shipped to yourself and set it aside or in your gift closet for a fun addition to a gift basket! If you don't want to continue to receive coffee from Gevalia, just call or log-in when you receive your shipment to cancel further shipments. There's no obligation to purchase more to get the $3 offer! Next, you can score a sweet deal at BocaJava.com! For National Coffee Day, they are offering FREE Shipping on all orders, plus use coupon code cheggoff for $10 off any $10 or more purchase! Combine these to find a sweet deal! I'm looking for my favorite Cinnamon Hazelnut, but the site is pretty busy right now. Or maybe a fall flavor like this Pumpkin Paradise... Hmm, choices! The FREE shipping offer runs through today, so just keep that in mind as you decide! Before you shop, check out the printable Our Family Coupons and the printable Nash Brothers coupons! This is about the lowest price per ounce you can get on olive oil! Final price: as low as $0.29! Final price: $1.50 for all 6, only $0.25 each! FREE Coffee Today at Dunn Bros with Coupon! Did you know today is National Coffee Day? Who knew! Celebrate today only with this coupon for a FREE 12 oz Coffee at Dunn Bros TODAY, September 29th only! It says valid for e-club members only, but allows you to print the coupon just by clicking the link. You can also show the offer on your mobile phone instead of printing the coupon! If you would like to join the Dunn Bros e-club, you'll get another FREE drink offer just for signing up! Egg Coupon: Buy One Dozen, Get One Dozen FREE! There's an awesome new coupon available this morning for Buy One Dozen Eggs, get One Dozen FREE up to $1.50 when you take the pledge. This coupon is good on any brand or type of eggs, and if your dozen is pried higher than $1.50, it will take $1.50 off. I love that it can be used on organic or cage-free eggs as well! Buy 10 participating items, get $6 off instantly with Cash Wise in-store coupon. Prices listed below assume the $0.60 discount per item you'll receive when you buy 10 items at a time using the Cash Wise coupon. There are some great deals to be had, you may have to do several transactions at Cash Wise this week! Final price: 6 Sweet Rolls + $0.72 Money-maker! Final price: $0.42 each when you buy 12 veggies, $0.47 each when you buy 12 tomatoes or somewhere in the middle if you mix and match! Even better, use the BOGO coupon here, then use the $0.75 coupon for the one that you're "buying"
Check the size limitations on these coupons to make sure the 12 oz bag qualifies. I've printed and used mine and can't remember what size limitations it has. This would be a great donate item if it's a brand you won't use! Final price: as low as $1.98! Or use this combination of coupons and a Catalina promo to your advantage to get a great deal on another product you'll use. For example, I love the Old El Paso green enchilada sauce and hardly ever get a good deal on it, so I buy 2 cans of enchilada sauce and 4 packets of seasoning. It's not free, or even quite a money-maker, but for 2 cans that normally cost $1.50 at least, plus all the taco seasoning, it's a steal! New Old El Paso Coupon + a Giveaway! I've been lining up several giveaways for you guys when I got this opportunity from Old El Paso and MyBlogSpark! I was so excited to share it because it comes with a HOT new Old El Paso coupon that will pair perfectly with the sale prices and Catalina deals we've been seeing on Old El Paso products! Old El Paso and MyBlogSpark will provide all the fixings for a family taco night to one lucky reader! The prize package includes a packet of Old El Paso Taco Seasoning, an awesome cactus shaped chip and dip plate, 3 hot pepper serving dishes AND a $10 gift card to purchase your additional taco fixings! And, there's more! They are also providing all my readers with a$0.60/2 Old El Paso products coupon! In our area, this will double to $1/2! And, it will pair perfectly with the Old El Paso Catalina going on through 10/3 at most grocery stores! To enter the giveaway, just leave a comment on this post sharing your favorite "Taco Tradition." Do you make them at home? If you eat out, where are your favorite tacos? Have you ever eaten from a taco truck? I'd love to know! I'll share more about how my family does tacos when I announce the winner on Saturday, October 2 around 8:00 PM CT! Be sure to leave an email address so that I can contact YOU if you're the winner! Disclosure: Old El Paso and MyBlogSpark have also provided a gift pack for my family to review and have our own family taco night. All comments and opinions expressed here are my own. I've chosen to host this giveaway for the benefit of YOU, my readers! I don't know how and why Hornbacher's deals are so difficult for me to have posted in a reasonable time! For those of you that patiently wait for them, I appreciate your patience with me. Some weeks in the past, I've not been able to prioritize it and this week it completely escaped my memory. In my defense, I returned home from a 3 week trip in the middle of last week and I'm still trying to figure out what day it is! I'll do my best to get some Hornbacher's deals up and I'm continuing to work toward a blogging "schedule" that you can count on! And, in case you've never heard me say it, I LOVE what I'm doing everyday here at FM Cheapskate and I have some pretty AWESOME readers! To those of you that comment and email everyday, thanks for the feedback and encouragement! Caribou Coffee - BOGO This Weekend Only! This weekend only, Buy One Drink and get the other FREE at Caribou Coffee with this coupon! Sounds like a yummy treat on the way to the Get Together + Coupon Swap! If you're looking for something to do today in this dreary weather, here's an idea! Today only, the Historical and Cultural Society of Clay County at the Hjemkomst Center in Moorhead is participating in a FREE Admission Day sponsored by the Smithsonian. Admission is FREE all day from 9-5 today with this required printable ticket. Each ticket (sent to your email address) is valid for up to 2 people at one museum. I've always wanted to be able to see that Viking Ship, I've heard it's a really neat exhibit. Have fun if you're able to make it out! Look for 3 coupon inserts this weekend, a SmartSource, a RedPlum and a P&G! BOGO Snickers, Milky Way, 3 Musketeers, Twix! And, the P&G looks great, too! Head on over to the Sunday Coupon Preview to see the full preview! And, keep in mind that in our area, I recommend buying the Star Tribune on Sundays to get the most coupons for your buck! You can buy the Saturday edition of the Star for only $0.75, but you'll likely only find the SmartSource and the P&G. Gap: 50% off ALL Denim Saturday from 12:00-3:00 PM only! Just mention "FLASH" to get the discount! Head over here for details on their Facebook page! Another AWESOME mall deal this weekend only: Fashion Cash at The Limited! Through Sunday, no coupon needed, just ask for your "Fashion Cash" when you shop at The Limited or use promo code FASHCASH at TheLimited.com for $10 off your purchase! Get $10 off an item that's not on sale or snag jewelry, hair accessories and more for $0.50 and up after Fashion Cash! Last time around, it was also a Coupon Swap weekend, so a few of us stopped by to snag deals at The Limited after coupon swapping. I plan to tomorrow as well! More thanks to Charlene over at My Frugal Adventures! Pier1 has a rare $10/$30 coupon available! Head over here to view and print! This is good through Thursday, September 30th! And, Office Depot is at it as well! Print the $10 off a $25 Office Depot purchase coupon to score a sweet deal in store! Aeropostale: 25% off with this coupon or use coupon code REAL25 at Aeropostale.com. Note that this coupon excludes clearance and other markdowns. Holiday Stations - FREE Fountain Drink + Gas Coupon! Head over here to print a coupon for a FREE 22 oz Fountain drink! Limit 1 coupon per visit, expires 10/10. Edible Arrangements - $10 Chocolate Dipped Fruit Box! Love fruit? Love Chocolate? Head over to Edible Arrangements for a special offer! Now through Sunday September 26th, you can score a gourmet box of chocolate dipped fruit for only $10 (regularly $25!) You can click here to order online or call and mention promo code: FACEBOOK. This offer must be picked up in-store. I had some chocolate dipped fruit from Edible Arrangements several months ago during another Facebook promotion and it was soooo yummy! Kohls.com 20% off + FREE Shipping! Plus, use promo code: SHIPFREE to score FREE shipping through 9/28! And, don't forget to check out the Kohl's.com clearance section! Come back and let us know if you find any awesome deals! Our Family Brown or Powdered Sugar, 2lb FREE with Sunmart Home Mailer coupon! Thanks to Angie on Facebook for this tip! I'm excited to start a new series around here called Reader Questions - Answered! I'll need you to keep emailing in questions to me at fmcheapskate @ gmail . com (just remove the spaces). If you've emailed me questions before and haven't gotten a response, please feel free to email again - I get LOTS of email and would love to answer your questions as part of this series if I'm able! That being said, I'd love to give others the opportunity to answer as well. If you'd like to add something, leave a comment! Question #1: When you get a Catalina that says “manufacturers coupon” (say from Sunmart), can it be used anywhere even with the store name on it? Answer: Yes, you should be able to use it anywhere, as it is a manufacturer's coupon and has a "remit to" address on it. Unfortunately, since they also advertise the name of the store on the Catalina, most other stores will not accept them for fear of not being reimbursed. I have found, however, that Cash Wise in Fargo and Moorhead are very well informed that these are manufacturer's coupons and it is the Cash Wise policy to accept them. Did you know that Cash Wise even accepts Walgreens Rewards? They are manufacturer's coupons just like a Catalina that printed at any other store! I have encountered a few cashiers who aren't aware of this, but every time a management team member is asked, they've accepted the coupon. But, before you dismiss the other stores, I have a friend who gave a Hornbacher's manager the information above and was allowed to use a Catalina from another store, since it is in fact a manufacturer's coupon. I was amazed, because I've asked at both Hornbacher's and Sunmart locations and they've never accepted them before. Maybe I just haven't been persistent enough? What has YOUR experience been with this? 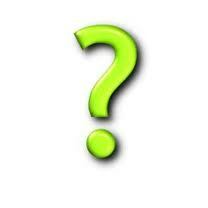 Question #2 Is there anywhere in town that accepts expired Manufacturer's coupons? Answer: Not that I know of. 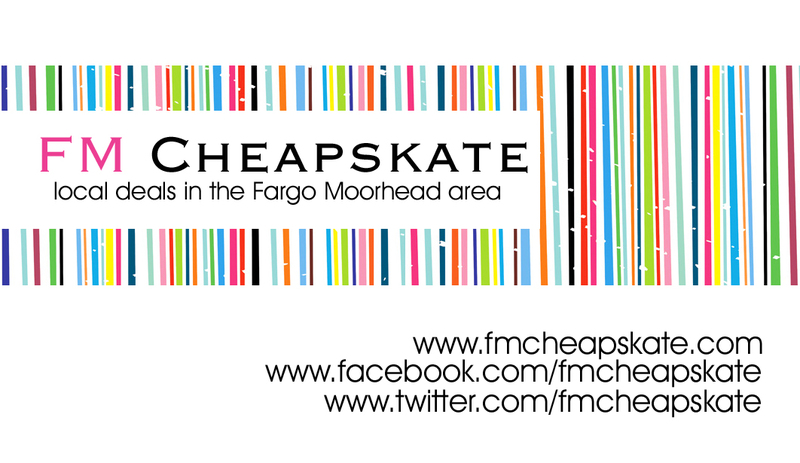 So, I'm asking the rest of you... Do YOU know of anywhere in Fargo Moorhead that does? Head on over here to get the scoop on lots of GREAT new Kraft coupons - these won't last, so hurry to print! Hornbacher's Catalina Updates + Deal Scenarios! I mentioned several "unconfirmed" Catalina coupon promos in the Hornbacher's Weekly Deals and ALL of them have now been confirmed! Thanks to all who emailed and commented to keep us in the loop! In addition, I have a few new scenarios for ya! Pay as little as nothing, receive a $3 Catalina! Final price: as low as $0.50 each after coupons and Catalina! Thanks to Stacy, Suzette and Saving and Giving for the Catalina details! Did you remember we're having a Coupon Swap + Get Together this Saturday? Come on out and meet some fellow coupon guys and gals, and bring coupons to share if you'd like to. Interested in a specific coupon? Post what you're looking for on the Coupon Trades page and trade on Saturday morning! Currently, this is set for 9:00-11:00, but I think I'll open it up to say 9:30-12:00. I'm open to feedback about the time! It's a very laid back group, you can stay as long as you want, or come and go if you need to! And a $1/2 coupon here for the 2 that you are "buying"
These are the best prices I've seen on this juice! Final price: as low as $0.19 each! Final price: as low as $0.69! Starting today, OfficeMax.com is offering 20% off your purchase with coupon code: AUTUMN. Coupon expires Saturday 9/25. This is a great coupon if there's something you've been waiting to purchase or items that you need to purchase anyway. Plus, orders of $50 and higher ship FREE! Head on over here to shop! Moorhead Public Service $35 Appliance Rebate! 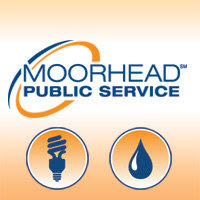 Moorhead Public Service is extending a $35 appliance rebate to Moorhead residents through 4:30 today, 9/20 only! I'm sorry I didn't have this info earlier to post it, but hopefully a few of you can still make use of it! Call 218-299-5400 by 4:30 today and MPS will come pick up your old fridge or freezer to recycle. Plus, you get $35! For more information and details, head over to the Moorhead Public Service webpage! Organic Whole Carrots, 2 lb bag $1.88! Final price: $0.80 each when you buy 2 after coupons! Final price: As low as $6 for 4 cereals and $4 worth of produce! We should be expecting 2 inserts this weekend, a SmartSource and a Red Plum! 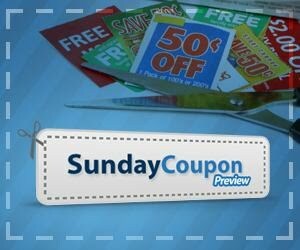 To see a full list of the coupons to look forward to head on over to the Sunday Coupon Preview! There are several "unconfirmed" Catalina deals I have listed here. If you confirm any of them by seeing the tag on the shelf or receiving a Catalina yourself, please comment or email me! Final price: As low as .88 each! Mmm, these are SO yummy! I don't know of any other coupons, but look for "Buy 2 OEP Products, get a Taco Seasoning FREE" peelie coupons on the products. Final price: all 3 for only .56! Final price: $0.12 for all 6! Final price: $0.28 for all 6! Final price: $1.68 for all 6, only $0.28 each! Pillsbury Catalina is also confirmed on the Sweet Moments! Final price: $0.73 each when you buy 4! Final price: $0.65 each when you buy 3! A Few HOT New Printable Coupons! Today only, head over here to print a HOT new $1.50/1 Smuckers Jam, Jelly, Preserves or Fruit! This should easily make for a sweet deal! Next, head on over to print a BOGO Wholly Guacamole Coupon! Pair this with the $1.50 coupon here or the $1 coupon from the 8/29 SS to sweeten the deal even further! Then, head over here to print a coupon worth $7/1 Brita System! This should also make for a sweet deal if you use Brita filters! Sunmart General Mills Promo + Catalinas! 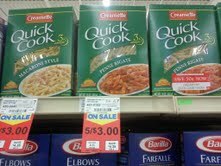 In addition to the other Sunmart Weekly Deals, there is a General Mills promotions going on called "Eat at Home for Less." Buy 10 items, save $3 instantly. Buy 20 items, save $6 instantly. Buy 30 items, save $9 instantly. There are a million combinations, so branch out to make your own, but keep this in mind. The instant savings amount doesn't increase the more you buy. For that reason, you might want to consider doing more than 1 transaction with only 10 items as opposed to doing 20 or 30 when buying items that have Catalina promotions attached to them. For example, if you buy 6 Pillsbury Rolls as part of the 10 items, you'll get the full $3 Catalina. If you buy 12 as part of 20 or 30 items, you'll still only get the 1 $3 Catalina. However, if you repeat the first transaction and buy 6 Pillsbury rolls as a part of 10 items, you'll get the $3 Catalina coupon each time you pay! Plus, since the Catalina's are rolling, you can use the $3 Catalina from the first transaction to pay for the next! Plus, stack with the Sunmart in-ad coupon for 1 FREE when you buy 10! Final price: $1 for all 12 Skillet Helpers after coupons, instant savings and catalina! That's basically 12 for the price of 1! Even if you won't use 12, consider doing the deal to buy some for your family and donate the rest. What an EASY way to help others! Final price: .20 each after coupons and instant savings! Pay nothing, and receive a $3 Catalina! Final price: $3 Money-maker after coupons, instant savings and catalina! Pay only $1.60, receive a $3 Catalina! Final price: $1.40 Money-maker after coupons, instant savings and catalina! Final price: .67 each after coupons and instant savings! Let us know if you come up with any other deal scenarios you want to share! Here are the Sunmart deals so far! There are some more to come with the "Instant Savings" promotion going on, especially since there are some overlapping Catalinas! I'll have them posted for you as soon as possible on Tuesday! Final price: $6 for 2 Salads and all of the above items! Final price: as low as .17! Final price: .67 each when you buy 2! Final price: FREE if this variety is on sale! Final price: As low as .40 per item when you buy 5! Final price: $1.99 each when you buy 2! Final price: $1.98 each, less than .50/lb! Final price: .63 each when you buy 2! I've gotten a $1 coupon in coupon mailers that come in the mail as well - if you have one of these, your final price will be only .38! Wacky Mac only $1.29 through 8/29!